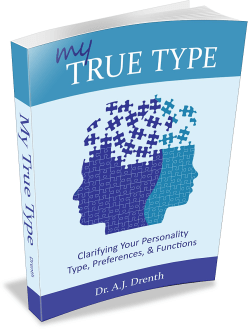 Individuals of any personality type can struggle with indecision, especially when faced with major life choices such as identifying a suitable career, college major, or life partner. That said, we know that certain personality types tend to have a harder time reaching closure and committing to a single path than others. Namely, perceiving (P) types, known for “keeping their options open,” are generally slower to commit and may be less reliable in following through on their commitments than their judging (J) counterparts. We also know that types preferring intuition (N) display higher levels of openness, a domain of the Big Five personality taxonomy. This suggests that not only perceivers, but also intuitives, can be slow to close off their options and make a firm commitment. Taken together, we can generally expect NPs (i.e., INFP, INTP, ENFP, ENTP) to be the most open, as well as the most ambivalent toward commitment, of all types. 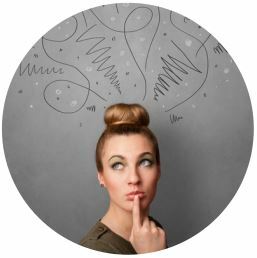 In a recent post, I explored how INFP, INTP, ENFP, and ENTP types deal with doubt and indecision in all facets of life. Here we will narrow our focus a bit, examining why these types may struggle to commit to a long-term relationship, as well as whether doing so is apt to be in their best interest. I will argue that certain NP personality features render relational commitment particularly challenging for them. This seems especially true for those disposed to highlighting the creative, philosophical, or explorative aspects of their personality (i.e., those identifying as Enneagram type Four, Five, or Seven). Are NP “Explorers” Cut Out for Relationships? Type theory informs us that each personality type utilizes four functions, collectively comprising its functional stack. Because of the central role they play in both cognition and behavior, studying the functions can take us a long way toward understanding the various personality types. All of the NP types use Extraverted Intuition (Ne) as either their dominant or auxiliary function. Ne is well viewed as a function of openness, creativity, and exploration, thus compelling NPs to operate as seekers, explorers, wanderers, creatives and the like. Here we will adopt the explorer concept as a means of illustrating the collective role of the NP types. There is also a certain impulsivity associated with the NP mode of operating. For instance, an NP writer, feeling restless or distracted, might suddenly spring from her desk and head out for a mid-morning run. This sort of behavior is typical of NPs, who relish the freedom to follow their own urges as they arise in consciousness. This is particularly true of NP creatives who aim to avail themselves to sudden strikes of inspiration or insight. Moreover, as P types, NPs (especially INPs) tend to avoid conflict whenever possible. While this can make them appear compliant and accommodating from without, the truth is they often do so begrudgingly, furtively wishing they were following their own lead. NPs can therefore feel torn in the presence of others, striving to maintain outer harmony, on the one hand, while trying to stay true to themselves, on the other. They may wish they had more opportunities to spontaneously following their own promptings without the added burden of asking permission or explaining their actions to others. Is it realistic to believe that a free-spirited, spontaneous explorer can / should commit to a relationship? Let’s flesh out the issue a bit more. NP explorers are, to a certain extent, independent travelers on their own subjective journey. Moreover, due to their penchant for openness and spontaneity, it’s hard to predict in advance what they will want or where they might go at some future point in time. Relationships, by contrast, are typically conceived as a shared journey, one which requires some measure of teamwork and planning. This includes anticipating and communicating one’s personal needs and wishes, as well as working to satisfy those of one’s partner. Now, this is typically a non-issue during the infatuation phase of a relationship, that is, when NPs’ partner is the primary object of their devotion. In other words, there is little conflict between NPs’ personal desires and those of their partner, since their central desire is their partner and meeting his or her needs. However, once the initial intensity of the relationship has diminished, NPs are faced with the challenge of reconciling two different, even competing, sets of needs. Almost overnight, a relationship that once felt so easy and natural can start to seem like work. So instead of instinctively moving toward their partners, they may find themselves moving away from them, hoping to procure enough space to reestablish their individuality. 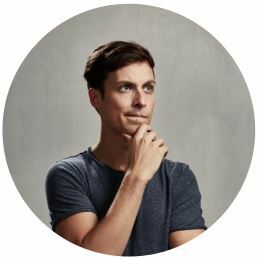 Feelings of guilt, confusion, and uncertainty may arise as NPs work to understand and reconcile who they are as individuals with who they are in the relationship. How much should they compromise? Will they lose themselves? What feels most authentic? Another concern pertains to NPs’ perceived levels of energy, namely, to whether they feel more alive when they’re alone versus together, or expressed more broadly, when they are single versus in a relationship. Will committing to one person ultimately be more life-giving than remaining single or partaking in a broader range of relationships? Furthermore, NPs (especially INPs) aren’t particularly good at leading or following. This leads to the question of what their rightful role is when engaging with others: Should they lead? Should they follow? The answer often seems unclear, as neither feels entirely natural. This sense of role ambivalence can be a point of discomfort and frustration for NPs in relationships. Who will make the final decision about things? If NPs are indecisive (which as we’ve seen is quite typical), then their partner will probably end up making the decision. But if the decision proves to be a poor one, can NPs really blame their partner or should they blame themselves? Faced with these sorts of questions and concerns, some NPs have concluded that committed relationships are apt to be more trouble than they’re worth. One of the more famous examples is the NP philosopher, Soren Kierkegaard, who fell deeply in love with a woman named Regina. Shortly after the two were engaged, however, Kierkegaard had a change of heart and broke off the engagement, a decision he would revisit and wrestle with throughout much of his life. Though to my knowledge Kierkegaard didn’t fully explicate his reasons, he seemed to be concerned that the relationship would somehow detract from, rather than enhance, his felt purpose as both an individual and a writer. I’ve personally known a number of NPs who have remained unmarried for much of their lives. Many seem to find contentment in their work, friendships, and family connections. Moreover, NFPs, in particular, seem to derive great satisfaction from engaging with animals and children—reliable sources of love and affection, sans the difficulties of a romantic partnership. Similar to other personality types, the promise of love and intimacy is one of the primary drivers of relational commitment among INFP, INTP, ENFP and ENTP types. The desire to start a family may also be a strong contributor, especially for NFPs. One thing we know about love, at least for most couples, is its passionate element tends to wane over time. This begets the question of whether other aspects of the relationship—more subtle feelings of love; intimacy and companionship; a shared history; children and family, etc.—are enough to justify its continuation. Proponents of marriage often tout these elements as sufficiently rewarding to justify tying the knot. However, one might argue that many relational benefits are available through other routes, such as close friendships, thereby making marriage an optional feature of the good life. Earlier, I suggested that NPs are sensitive to the effects of a relationship on their energy levels. Related to this is the degree to which a relationship encourages, or at least doesn’t prohibit, the pursuit of novel and meaningful possibilities. Since there’s little NPs dislike more than feeling bored or stifled, they want to know they can still enjoy significant novelty and vitality in the context of a long-term relationship. As P types, it can be tempting for NPs to assume that the path of least resistance, namely, opting to remain single, is the optimal path for them. Considering the myriad demands and stresses of modern life, this is largely understandable. At the same time, many NPs are too restless to sit still. They relish exploring, learning, creating, and tackling new challenges. In other words, a sense of tension—which propels much of what they do—is not necessarily their enemy. In fact, one of their greatest aversions—boredom—is essentially a tension deficit (not to be confused with attention deficit). So while some NPs may want less stress in their lives, they definitely don’t want life to be easy to the point of boredom. A corollary to pursuing the path of least resistance mindset is the desire for an unencumbered life, one characterized by maximal freedom and minimal obligations. One can see how a freedom-loving, NP explorer might idealize this sort of existence. But the fact is that NPs who manage to procure this sort of life are often surprised to discover that they miss having more obligations / challenges to navigate. Recent retirees, for example, commonly report having too much time on their hands, leading to a diminished sense of purpose and interest in life. Granted, there are other ways of increasing tension beyond signing up for a committed relationship. But it’s important for NPs to realize that the tension and challenges introduced by a relationship aren’t necessarily a bad thing. In some cases, they can make life more intense, rewarding, and interesting. Some NPs may be skeptical of the institution of marriage, perhaps seeing it as a mere cultural construct or instrument of social control. 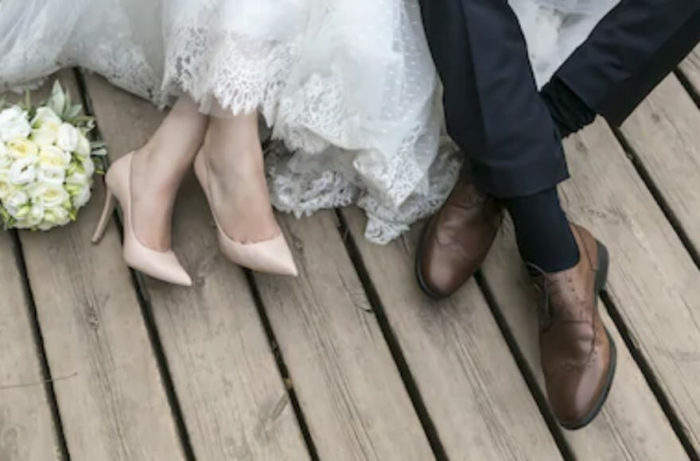 What is indisputable, however, it that the level of commitment associated with marriage entails psychological and behavioral consequences that distinguish it from other types of relationships. So even if marriage is an arbitrary social construct, the fact that it assumes a lifelong commitment gives it a certain import that’s worth examining. We know that all marriages aren’t created equal. While most modern marriages are born out of love and good intentions, many become listless and perfunctory over time. That said, I believe NPs who decide to tie the knot want something more out of their marriage; they want it to be deeply meaningful, enriching, and life-giving. The question then, is whether this can be realistically achieved and, if so, how. Despite their high hopes and ideals, it’s unfortunate that many NPs have allowed their marriage to take on a more or less conventional form and trajectory. If NPs insist that other aspects of their lives (e.g., their career) be a genuine reflection of who they are as individuals, why aren’t they demanding the same sort of authenticity in their marriages? Fashioning an authentic relationship requires the ability to identify and communicate one’s own needs, as well as incorporate those of one’s partner. Only by making both partners’ needs explicit, and shaping the relationship accordingly, will the marriage start to feel more authentic and rewarding. Of course, this is never as easy as it sounds. Since most relationships are founded on unconscious attraction, including an unrealistic, idealized version of one’s partner, the prospect of disclosing one’s actual, post-infatuation needs can be terrifying: What if she doesn’t love, respect, or support the real me? Will she accuse me of having changed (in a negative way) or of having been disingenuous? Will she leave me if she knows who I really am, what I really want? I suspect that many NPs, especially those who are navel-gazers or psychology junkies, will fancy the notion of a conscious / authentic relationship and take interest in crafting one, as doing so involves a great deal of self-exploration and analysis. Those who appreciate the challenge of self-improvement / transcendence might also find it appealing. In short, the track record of most marriages is apt to prove uninspiring to NPs. But there may be an antidote: fashioning a marriage around the authentic needs of both partners. The potential rewards of such a partnership, including self-actualization and being loved for one’s authentic self, may be enough to tip the scales toward commitment for some NPs. But what happens after a relationship becomes conscious, will any element of intrigue or mystery remain? While granting that some diminishment of mystery is expected and probably irreversible in any partnership, the fact is that a conscious relationship requires ongoing dialogue, since both partners’ needs, as well as life circumstances, are constantly changing and evolving. This means there will always be new things to explore, discuss, and overcome. NPs may nevertheless worry that, at some point, they may find themselves trapped in a dull or monotonous relationship. Underlying this fear may be concerns about sexual novelty, such as the perceived limitations of lifelong monogamy. This fear may also reflect lifestyle concerns like having the freedom to explore unconventional ways of living or modes of being in the relationship. Either way, the question boils down to whether the relationship is big / flexible enough to accommodate new and unprecedented explorations. Is it possible for a relationship to be too big? Too open? Too flexible? Is there a point at which its boundaries are stretched so far that it ceases to be meaningful? If a universe is constantly expanding, what, if anything, will hold it together? At what point is it no longer rightly considered a unity? How couples answer these questions will almost certainly be a matter of personal preference. Experimentation may also be required to provide experiential insight. At any rate, couples must work to clarify their needs as individuals and discuss if / how those needs might be satisfied within the context of the relationship. Not all NPs will struggle to commit to a long-term relationship. For some, conventional approaches to love and marriage may even suffice. Many, however, will see things as less clear-cut, thus warranting a more critical and extensive analysis. Can a free-spirited, spontaneous explorer find satisfaction in a long-term, committed relationship? Should the challenges associated with a committed relationship be viewed positively or negatively? What type of marriage, if any, might prove satisfying to NPs? Will a committed relationship enhance, or detract from, their sense of freedom, novelty, and energy? For NPs disposed to pushing boundaries, can a relationship be flexible enough to accommodate such expansions? Obviously, there are no hard and fast answers to these questions. NPs will need to draw their own conclusions regarding which path is right for them. That said, many will feel compelled to clarify their identity and path as individuals prior to deciding what they want out of a relationship. 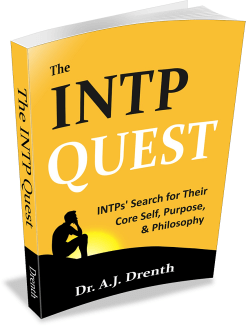 For those seeking more guidance and insight in this respect, we encourage you to explore our online course, specifically designed to address the central concerns and challenges of NP types: Finding Your Path as INFP, INTP, ENFP or ENTP. In my view, most NFPs are unsuitable for long-term relationships and often sabotage their relationships after sitting on the fence for a while. ENFPs often want to do with their Inf-Si and can positively use it to mitigate the Ne-jerks emotions. But they also over estimate their Te-ability to plan their lives and run them accordingly. So, often they end up in situations where they have to do a lot of Te-work, that was originally powered by their Fi, but ultimately hinders their Ne. This is when they break everything up and ” escape” into yet another Te-trap. Rince repeat. INFPs often want their partner to support their Inf-Te so that they can focus on their preferred Fi-Ne ruminations. But they also resent having their Si-honed routines interrupted by external influence and will slowly start to be overwhelmed by their partners’ directive ways. In the end, this negative build-up of Fi-ruminations that are conscious but repressed for the sake of avoiding taking responsibility for their own Te will cause them to lash out at the said partner, hereby breaking the trust that will then seem to have been a mirage. Soon enough, the Si-latch onto the negative experience to avoid getting into close relationships in the future. As you said, the only beings that can have long-lasting close relationships with NFPs are animals (dogs, in particular). Children will grow in to adults, so INFPs often don’t want any of THAT double-trouble. ENFPs will raise their children to be independent, so that they can navigate life by themselves, albeit giving enough space for the ENFP to prepare his/her escape. This will seem harsh and generalising, but it is a pattern I have observed in the great majority of the NFPs I have met in my life (i.e they are often single/without close relationship or friendships/with multiple broken past relationships/friendships). Some of them will try to “break” their pattern, only to fall even deeper into it, thanks to the Fi-Ne + low Te and persistent Si dynamics. That said, they are usually fine going about their own lives away from everyone, until the isolation becomes a problem and they rush to find a cause to defend/endorse…for some time. All in all, they are people who connect with people temporarily and nothing more can/could/should be expected of them. I am an IN(F/T) P with a huge N and P (huge meaning north of 90%. F and T are about 50%). Due to, I think, my primary Fi, there was nothing I wanted as much as I wanted a relationship. I don’t suffer from the “fading of excitement”: actually, I abhor “mystery” and the seduction stage, as to deserve the “mating dance” label and I am a tad too developed for rituals and mating. Also, I never get bored with anything I really liked in the start, be it colour pencils, sweaters, cars, furniture, authors (think I am trying to read the entire body of Jung’s works…). As time goes, what happens is I get more attached. The others however follow the natural, hormone-informed cycle of enthusiasm, fading of enthusiasm, disinterest and then surprise that the other (I) still expects things to be like before. Too wide of a gap in mental time frames. Furthermore, Te and Fe make self-authenticity and integrity (as in being one, instead of a set of personalities that turn on and off at need) a chimera. Shakespeare said when one is self-sincere he can’t lie to others. I have learned that when one can’t be self-sincere she cannot either not lie to others, nor allow others lie to her less than she does herself. They can’t access the inner circles of their psyche, and of course can’t allow you to go there either. My only possible relationships/relations are, I have learned, with other INTP/INFP thinkers and artists, or, better said, with their works. One is Jung, and there are others. This isn’t because committed relationships dampen my energy, hinder my career, narrow my options. It is because there can not be truth (not said to them, nor by them), complete intimacy, complete trust (they don’t very much know what they are wanting and doing a hour from now, let alone a week a month a year). Great analysis. Very informative and thought provoking. Thank you AJ. I (ENTP) have struggled with this in my past relationships and even jobs. I am getting very stable and more joyful while in my mid 30s due to some efforts. I have tried to stabilize my career as a (research) faculty. This is a career designed for NPs. After many hours of exploration every day, your Ne and Ti/Fi is completely satisfied and you prefer switching to other functions: family, home… (Si values). Same as career, subject of interest, etc., the exploration is more meaningful and fruitful when it is directed in a wide path that gives you enough room for exploration within that path. In relationship also, maybe living with someone who is not that demanding and actually likes taking care of the home responsibilities, etc makes your life much easier. We think our partner should possess all the qualities we want: great conversationalist, intellectual, attractive, etc. but the intelligence can be entertained enough at for example work so you enjoy family time at the end of the day. You can never explore everything because even if in theory it was possible to experience/try everything, you would still miss the the experience of staying only with one thing for a period of time that’s long enough not to experience other things. In a long-term relationship with an ISTJ, 24 years long. As an NP much of what was discussed is on point. A few highlights to encourage anyone in a relationship with an NP. “Those who appreciate the challenge of self-improvement / transcendence might also find it appealing.” Being an NTP means that I relish the challenge of improvement. That said, fidelity, persistence, follow-thru, are all things I have copied from my SJ and have learned the importance of those things as well. The emulation of my SJ partner has helped, but by far my faith in God and adhering to the standards of my faith has enabled me to stay true to path and partner when my Ne/Si goes into overdrive. I’m an INFJ woman married to an INTP man for 26 years – and I would say happily married- not perfectly, but happily. Most important to our relationship, I think, is having the same foundational world view and aesthetic sense while maintaining independent and very different career paths. We are each truly awed by the other’s gifts and talents, and we express that admiration. We also share a wicked sense of humor which is a definite boost! I believe marriage has allowed my INTP guy to explore his many, varied interests without the distraction of having to look for a mate. 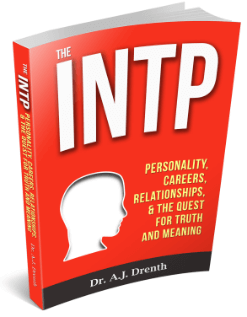 I’m an INTP woman, married to an ENTJ male. It works. We have similar values, and we both respect each other as equals. The only bit that was hard was during the childbearing years, where it was more logical for me to stay home and raise the kids since I was the one who could breastfeed. Now we split the load evenly. One of our tricks is that we explicitly tell each other when something is important. Being a pair of NTs we’ll debate all sorts of things, but if something is important we’ll say “this is an important issue to me, I don’t want to move on this one”. If it’s not that important to the other person, they immediately back down. If it *is* important, we go step-by-step through what matters until we can negotiate an agreement. The most important things are acceptance of each other’s differences and communication – and a choice, every day, that you want to be with this person and you are willing to do what it takes to make it work (and I mean genuinely work, not “put up with stuff”).